This is a guest post. Author details at the end. In my recent research study, I reviewed over 1000 Airbnb guest horror stories. In the article, I described the kinds of problems that guests were most likely to encounter and complain about during their Airbnb stay. 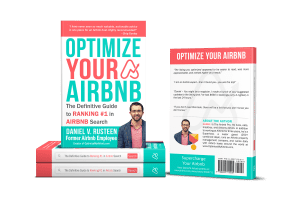 The things I learned were incredibly useful and showed me that there were some distinct opportunities for Airbnb hosts to improve the experience of their guests. These are my top recommendations for simple steps that hosts can take to provide a better guest experience, earn higher ratings, and, therefore, earn more money. One of the biggest complaints I learned about was that pictures or descriptions over-promised what guests could expect from their stay. Doing this sets an unattainable expectation, and can seriously dampen not only your guest’s stay but also potentially your reviews and rating. Honesty is always the best policy, and if you set the bar a little lower, you get to over-deliver and pleasantly surprise your guests which will result in many 5-star reviews! OptimizeMyAirbnb.com Pro Tip: You should not photo everything in your house. Some things should be left to surprise and delight the guest upon check-in. Do you have neat USB chargers on the lamp next to your bed? That’s fantastic, but should not be photographed. The guest is not going to book your place for this feature, but will be pleasantly surprised upon arrival. Consider taking pictures using your camera instead of having professional wide-angle photos done. Professional and highly edited photos may seem like a good idea, but they can cause you trouble. Ultra wide-angle shots make rooms look larger than they are, and highly edited photos can falsely represent the listing. Instead, take pictures with your smartphone or your digital camera, and be very thorough. If you feel you need to edit them, keep it minimal. Guests have a right to know what they’re signing up for, and you deserve to reap the rewards of an honest and well-detailed listing. Bonus tip: some Airbnb hosts include a floor plan drawing in their photos which includes square footage, and this is incredibly handy to have as a guest! 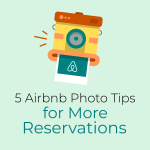 OptimizeMyAirbnb.com Pro Tip: Most modern cell phones can take incredibly high-quality photos, but a professional knows the “right” angles so be sure to research this beforehand. I have a chapter in my book Optimize YOUR Airbnb: The Definitive Guide to Ranking #1 in Airbnb Search dedicated to taking photos with your smartphone written by the folks at www.Overlooked2Overbooked.com. Be as clear and honest as possible when listing amenities that guests have access to. Again, this is a matter of setting correct and fair expectations. If you don’t, you’ll just disappoint guests, which leads to bad reviews – and we all know what happens when we start to accumulate bad reviews on Airbnb. Be there when you say you’ll be there, and be responsive during the guest’s stay. Another top complaint was that Airbnb hosts were late, absent, or unresponsive to guests’ needs. Arrange a time to meet and then stick to it. When possible, send a confirmation or touching-base message about a week before the guests are due to arrive at your listing, and solidify the details of arrival and departure as much as is possible. Most importantly: be there when you say you’ll be there, or arrange a trustworthy replacement for yourself and communicate the situation clearly with your guests. Be available to guests during their stay as well so that you can answer any questions they may have – it may seem like common courtesy, but guests report that this has been a huge issue. If you can’t be available to your guests, provide them with an alternate contact for urgent situations. OptimizeMyAirbnb.com Pro Tip: Always be responsive, but don’t encroach. If you usually welcome the guest personally, but you have an Instant Book reservation from a guest who doesn’t send a single message to you before arrival (as opposed to a guest asking about nearby laundry faciliaties or restaurants, etc. ), it probably means they are self-sufficient and don’t want to be bothered. In this case, consider not doing a live check-in. Never cancel last-minute unless you absolutely have to (and communicate with as much notice as possible). This was by far the most common issue, and the one that guests seemed most upset by – hosts canceled their stays at alarming rates, and often with little to no notice. This is rude, unprofessional, and not the kind of thing that will win you any points on Airbnb. That being said, things happen. If you have to cancel, be as empathetic and fair to your guests as possible, and help them through the process of rebooking if at all possible. Airbnb can sometimes make it hard on guests when this happens to them, so anything you can do to smooth the process will be much appreciated. Respond professionally to negative (and positive) reviews. Reviews serve a very important purpose: to inform. They’re there to let guests and hosts know what could be improved, and what they’re getting themselves into. Yes, it’s hard when a negative review is posted about you or your listing, but it happens and can’t be avoided 100% of the time. When it happens, be graceful in your response and understand that your reaction will determine how you’re perceived from then on. Thank the guest for the review, and let them know you appreciate their advice on how to improve. 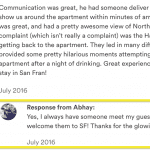 OptimizeMyAirbnb.com Pro Tip: There IS a wrong way to respond to a negative review. 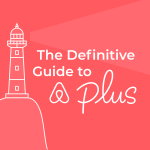 Learn the right way by reading my blog post: Why You Should Respond To Airbnb Guest Reviews + How. 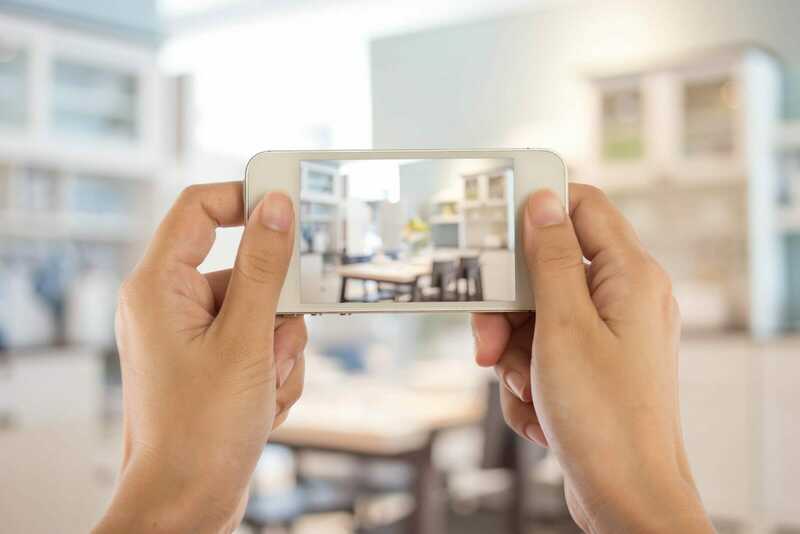 Take pictures of your property before and after each guest’s stay. 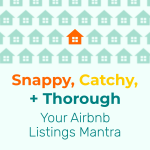 This is important because it documents the state that the listing is in before and after a stay. If you can, take a getting-your-apartment-deposit-back approach and walk through with the guest so that you can agree on the state of the listing. And as always, document your conversations and anything you find! 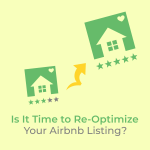 OptimizeMyAirbnb.com Pro Tip: Your cleaners can do this task with TurnoverBnb or Properly apps. Strive for Superhost status whenever possible, and continue to deliver on those qualifiers after you earn the title. If you can attain Superhost status, do it. However, keep in mind that you’re not off the hook once you earn the label; you still have to live up to the Superhost standard with each booking. Keep good records of communication between yourself and guests, and never force a guest to communicate off-platform unless it’s an emergency. Keeping your communications on-platform is very important, as it records everything said between you and guests. 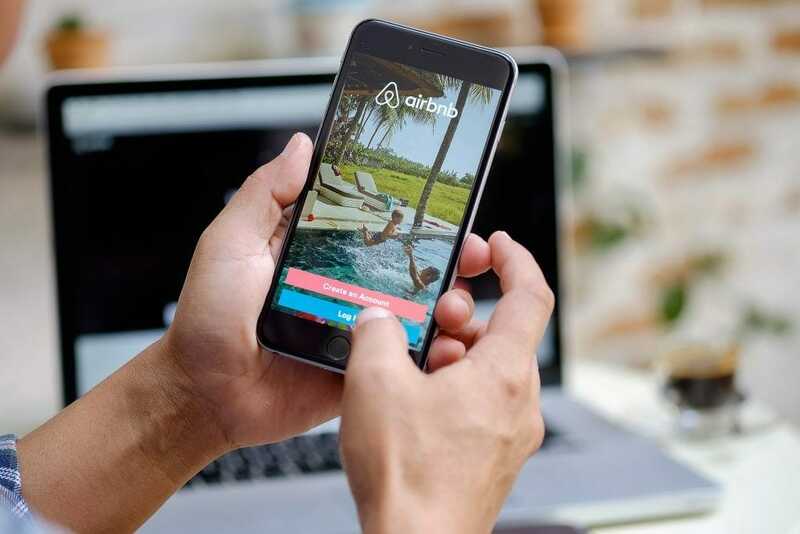 There are times when communication can’t be on the Airbnb platform – like if a guest has to call you with something urgent – but they should be few, and well-documented. 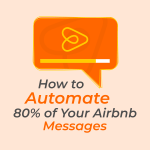 If you do need to communicate off-platform, confirm your discussion in the Airbnb messages as well when possible. 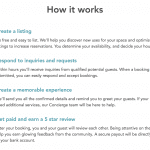 This gives Airbnb customer support a paper trail if you ever get into a dispute with the guest. Clean! Be absolutely sure that the space is clean with ample time ahead of guest arrival. 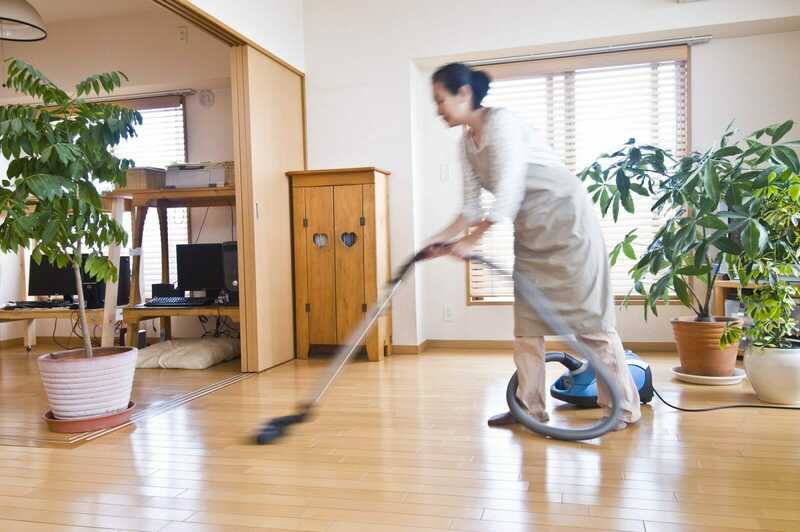 If you’re cleaning the place yourself, try to do the best job possible every time. If you want guests to choose your listing over a hotel, it needs to exceed hotel standards consistently. If you’re not cleaning it, make sure you book the cleaning person with as much time as possible before guest arrival so you can do a walk-through to verify that the cleaner has done a good job. 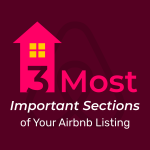 OptimizeMyAirbnb.com Pro Tip: I have created a Cleaning Team Checklist that outlines where Airbnb cleanings differ from traditional, residential cleanings which most cleaning teams are used to. The differences are massive and bad cleaning reviews are a killer. Good hosting is often easier than it seems, and it should be fun wherever possible. We saw so many reviews that described situations which would never have been bad if the host had just put in a little effort and been honest with their guests. 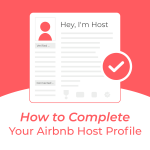 You’re here because you care, and that says a lot about you as an Airbnb host – take advantage of these tips and happy hosting! Asher Fergusson has been an enthusiastic traveler since he left Australia in 2004. He has lived all over the world including India, Europe, Hawaii, and mainland US. He has used Airbnb since 2012 and has had some amazing experiences and some nightmares as well. He loves being a dad, eating delicious food, photography, surfing big waves on Maui, walking barefoot on the earth, and yoga.